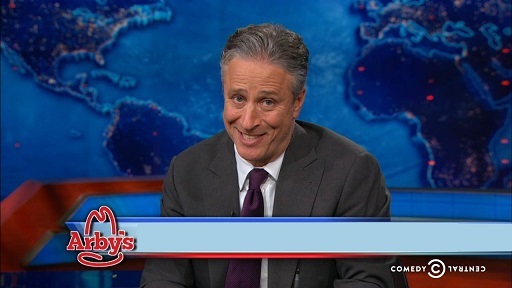 Can you pick the correct word to complete Jon Stewart's musings on Arby's? Arby's: Why Not Challenge Your Stomach To A _____? Arby's: Isn't There _____ Else We Can Eat?